People who have been assaulted or threatened by others, in a statutorily defined relationship, can seek restraining orders. This order places severe restrictions on the subject's movements and can even result in the subject being forced out of his or her residence. Whether you are seeking a restraining order or wish to prevent the imposition of a restraining order on yourself, representation by an experienced attorney is essential. Mavrides Law helps people obtain restraining orders, and also represents people wishing to prevent the imposition of restraining orders. In your case, the firm will take immediate action to protect your rights and achieve your goals. Contact Mavrides Law today for an initial consultation with an attorney. Obtaining a restraining order is a two-step process. First, you must get a temporary or emergency order (called a 209A Restraining Order) from the police. You can do this on your own or Mavrides Law can advise you regarding where to go and what to do. You can also view our article titled "Massachusetts Restraining Orders Procedure and Ramifications." Following the issuance of this temporary order, a hearing will be scheduled regarding the imposition of a final order. Mavrides Law can represent you at this hearing — to tell your side of the story and to present evidence in your favor. 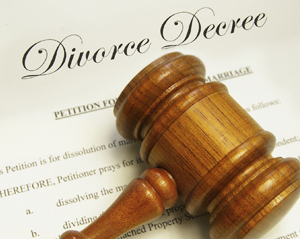 Getting a vacate order to remove your spouse after you have filed for divorce is a separate legal procedure. Mavrides Law can help you get a vacate order, as well represent you in your divorce action. A restraining order can severely affect your life. You may be forced out of your home. You may lose your child custody or visitation rights. Your name will be listed on the Domestic Violence Registry, which can limit your employment options. To prevent these negative consequences, you need strong and effective representation at the hearing for the final order. Do not let false or exaggerated accusations of domestic violence ruin your life. Mavrides Law can tenaciously represent you — cross-examining witnesses, challenging evidence and working diligently to oppose the imposition of a restraining order against you. For an initial consultation with a lawyer, contact Mavrides Law. The firm has offices in Quincy and Boston, Massachusetts, to serve you.